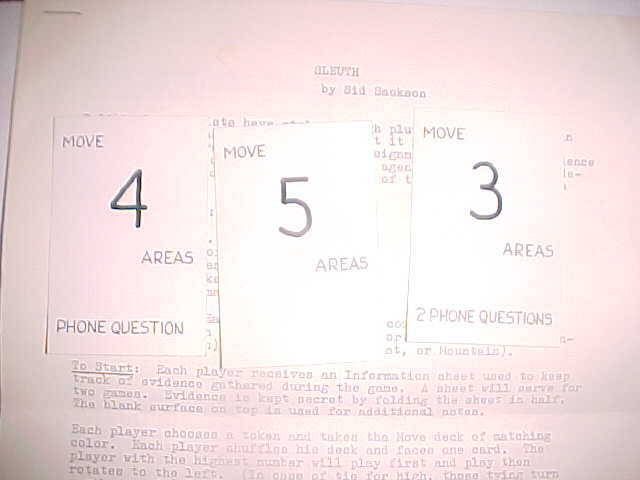 This is an item from "Sid´s Estate Sale": It´s not a prototype of 3M´s Sleuth version, but a newer modification of Sleuth with a terrorist theme! 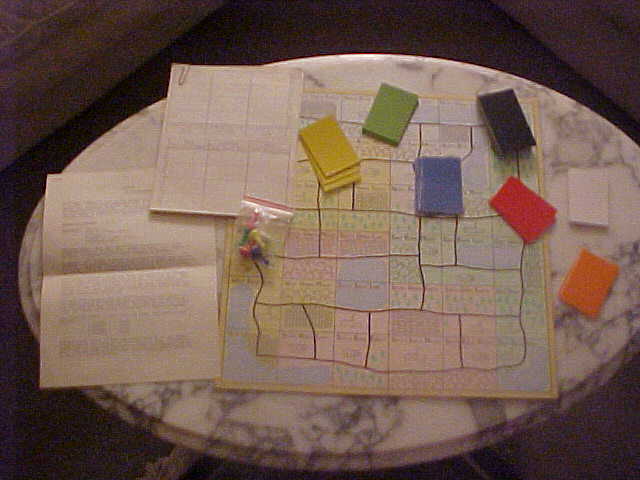 "Sackson pitched the version of Sleuth you show to Avalon Hill, who were interested in moving the game up to their bookcase game line. 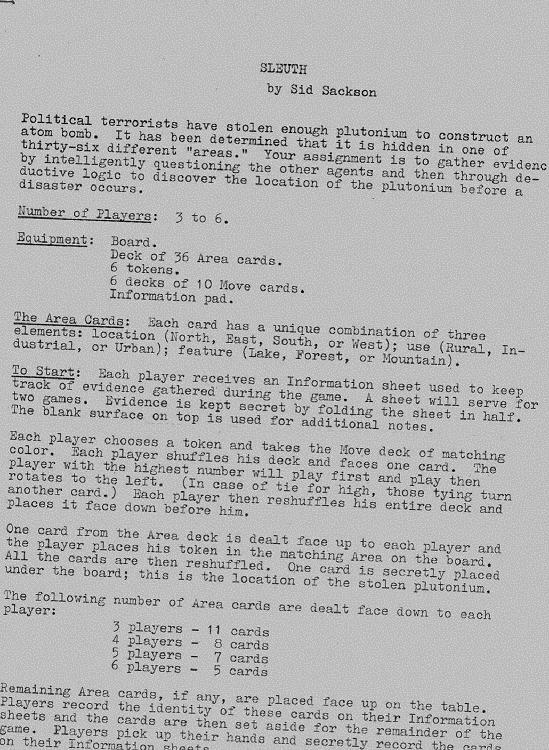 This version - likely this copy - was sent to Avalon Hill on July 25, 1979, but was rejected by the company in a letter dated August 8, 1979." For further background information (and "The Case of the Elusive Assassin: An Ellery Queen Mystery Game" by Ideal) look to Bob Clusters Homepage. Oddly this is a game for 3-6 players and can not be played by 2...there are 36 area cards 6 tokens 6 decks of 10 move cards and many information pads.